Silver Dollar City is not just popular for many thrilling rides that you can enjoy with the whole family, it also hosts annual festivals all throughout the year. These festivals include diverse national and international events such as the World-Fest, the Bluegrass and BBQ Festival in May. The National Kids Fest is celebrated by young visitors from June through August. This fest is followed with the celebration of the Southern Gospel Picnic in late August through early September. National Harvest Festival will also celebrate from mid-September to late October. These festivals are some of the most entertaining attractions in Branson that are sure to give fun to people of all ages. 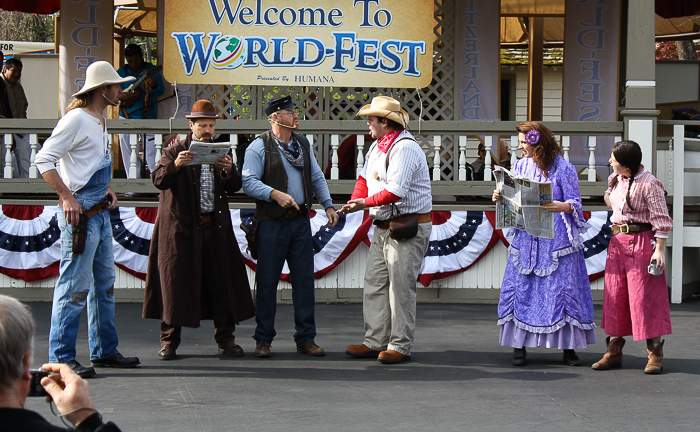 The World-Fest is celebrated at Silver Dollar City during spring break in Branson. This festival features over 400 performers from the world over. You will get to enjoy a variety of world-class entertainments and a wide array of culinary delights served with international cuisines that feature exotic dishes from around the world. You will also see several craftsmen demonstrate their craftsmanship and share their skills that are passed down to them from past generations. In this event, you will see great displays of colorful cultures from around the world. You will get to see international entertainers perform great entertainment where music and laughter are universal languages. You will witness famous performances from Argentina, Spain, Ukraine, Ireland, the Pacific Islands, Ecuador and more. As a world class attraction in Branson, you will get to discover a world of multi cultures in this international festival at Silver Dollar City. This event gives you the chance to enjoy live shows performed by artists from around the world. Here, you can have the opportunity to watch the Chinese and Kenyan acrobats, the Irish and Canadian step-dancers, Italian flag-throwers, Trinidadian drummers, Russian circus performers, and many more. This America’s biggest celebration of world cultures at Silver Dollar City excites every group of tourists where they can enjoy live performances and myriad shows that will surely impress them. Additionally, this international event presents new shows with aerialists and drummers from Argentina, Russian folk trio, and fire-knife dancers from Samoa, the Spettacolo Musicale from Italy, and the return of Viva Italia. As you watch the festivities, you’ll feel like travelling the world as you enjoy watching groups from Peru, Switzerland, Ireland, and many more in this festival at Silver Dollar City in Branson, Missouri. Silver Dollar City’s Bluegrass & BBQ Festivals are some of the entertaining attractions in Branson not to be missed. The festival is a combination of two events of classic American traditions of great music and barbecue food feast that are celebrated in a truly enjoyable presentation. The Bluegrass portion of the festivity features more than 50 bands performing hundreds of entertainment shows throughout the 16-day fest. Bluegrass musicians and singers coming from around the country come to Silver Dollar City in Branson to show their talents. Traditional and contemporary music in the festival will not be complete without the sumptuous and delicious barbecue foods. There are about more than 300 BBQ sauces that can be enjoyed by visitors at the House of BBQ in the festival. And there are lots of BBQ creations to choose from around America: Carolina pulled pork, Memphis-style dry rub ribs, Kansas City smoked chicken, and Texas-style beef brisket. The Bluegrass and BBQ Festival at Silver Dollar City features the finest grill companies that offer an awesome display of barbecue delights and mouth watering delicacies. The National Kids Festival held each summer at Silver Dollar City in Branson is a great way for kids to enjoy summer vacation. From fascinating street performances and fabulous live entertainment shows to thrilling rides, there is certainly some excitement for every member of the family in this festival at Silver Dollar City. Every kid is sure to enjoy a great time at children’s wilderness wonderland at the Half Dollar Holler. With its climbing-nets, sandboxes, and tree-top playhouses, the Holler offers young explorers exciting and fascinating adventure. Each summer event at the Silver Dollar City’s National Kids Festival, young visitors can have the chance always to see spectacular shows designed to entertain every member of the family. Kids can have also the opportunity to meet larger-than-life size versions of their favorite cartoon characters which are available for them to see such as Dora and Diego; Tom and Jerry; Spongebob; Backyardigans; George Jetson & Astro; Scooby Doo & Shaggy; Team Umiizoomi; Fred, Barney & Dino; Yogi Bear & Goo Boo; and the Flintstones. Celebrated at the beginning of autumn, Southern Gospel Picnic is the perfect way to experience all the Ozarks has to offer. Come experience the fun where the Southern Gospel Picnic brings joy and harmony this fall. Special fried chicken picnic meals will be offered at the park to provide visitors with a genuine feel for down home Ozarks cooking, while various gospel concerts will be held throughout the day. Whether you’re an avid fan of gospel music in particular or just an ordinary music lover, you’ll be amazed by the vocal talents showcased during the course of the festival. And, of course, all of the normal attractions, rides and shops at Silver Dollar City will be open during the festival to ensure that everyone has an action packed day while at the park. Whether you're visiting solely for the Southern Gospel Picnic or are merely looking for a way to maximize your Silver Dollar City experience, you're sure to enjoy a great time at Silver Dollar City this fall. National Harvest Festival in Silver Dollar City is also celebrated during fall season in Branson. Music and crafts of all kinds are featured in the National Harvest Festival at Silver Dollar City from September through October. The festival presents live music performances featuring western, country, and gospel. Craftsmen and artisans show their skills in glassblowing, basket weaving, natural wood dying, fabric weaving, painting, and barn wood birdhouses. The visiting craftsmen of 125 join together with 100 resident craftsmen in Silver Dollar City to create and demonstrate craftsmanship in the largest festival in the country. This fall festival at Silver Dollar City is combined with entertaining shows, exciting attractions, fine restaurants, and thrilling rides in the theme park. Also known as the home of American craftsmanship, Silver Dollar City welcomes tourists from all walks of life who want to celebrate the National Harvest Festival at Ozark Folk Center. National Harvest Festival at Silver Dollar City is widely known as the most recognized craft festival in America and well known for its Halloween themed events, fireworks, and plays at Table Rock Lake. 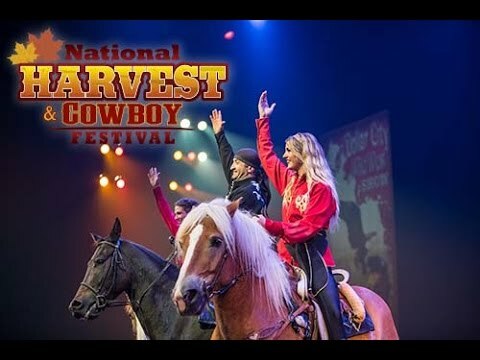 From September 12 through October 6, the new Texas Trick Riders in the National Harvest Festival will showcase their fancy stunts, whip acts, trick riding, and trick shooting atop their robust stallions. This Western Stunt Show features talented stuntmen and women during the largest festival in the nation that features skilled craftsmen and artisans. During this event, Debbie Dance Uhrig, the master craftsman of Culinary Arts can teach any interested visitor some of her favorite recipes in the kitchen of the Culinary & Craft School. Aside from thrilling rides that you can enjoy at Silver Dollar City, it is also home to several annual festivals that can give you fun all throughout the year.